Once in a while there comes a book which alters the way you think. It gives you insights and hope and a fresh perspective towards life. Towards everything. A few years back, The Alchemist did this to me. And then The Monk Who Sold His Ferrari. And now this one. I got this book as a giveaway some two years back and I never thought of reading it. It was my foolishness or maybe it wasn’t the right time for me to read this book. The story is quite simple. It is about a deer who lives in forest in the beginning before it is captured and taken to the zoo. From there, the deer escapes and gets back to the forest only to find a new way to look towards the forest, towards the life that’s ahead. It’s perspective towards life in forest before the zoo and after the zoo will take you by surprise. 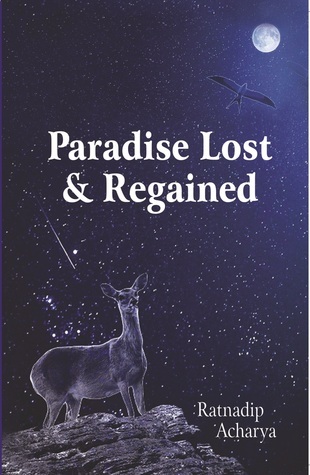 As you read the book, chapter by chapter, the story engulfs you and soon you replace yourself with that deer. Every chapter in this book is a take on different stages of our life. The beginning, the childhood, the teenage, the maturity, the old age. Life lessons which have a potential to change someones life, are rendered smoothly. The language used complements the subject very well and makes it easy to take the insights. My favorite chapters were those where the author has commented on the negative emotions that persists and the adverse effect of those emotions. Though many a times these emotions tend to give a dark shade to the book. But you’ll have to ignore it to understand what the author i really trying to convey. Buy. Beg. Borrow. Steal. But read this book. You will not regret.